Following the international hit The Boy who Plays on the Buddhas of Bamiyan, THE BOY MIR covers not just one year but ten. It tracks the irrepressible and lovable Mir from a naïve 8-year-old to a fully grown adult. 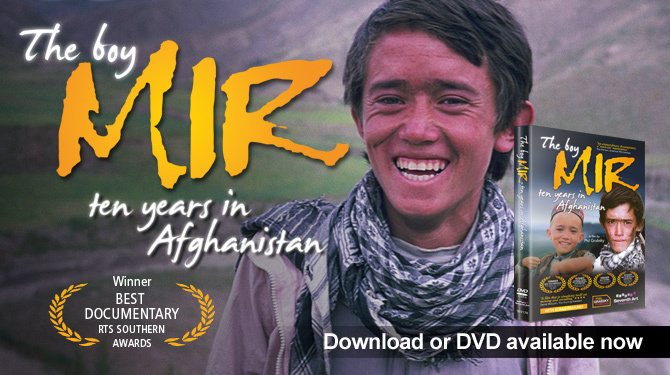 Over the course of a decade, not only is this a journey into early adulthood in one of the toughest places on earth but also a film that is unmatched in mirroring and unveiling the vitally important story of modern Afghanistan. Since 2001, Afghanistan has seen many changes but one thing remains constant: this is an extremely turbulent country. Many thousands have been killed in attacks, largely by a resurgent Taliban. Drug lords, overseeing a booming opium trade, control private armies in the south and east. Nato currently has some 60,000 troops in the country and is heading towards 90,000. Yet, in Kabul at least, the wrecked planes at the airport are gone and the dozens of destroyed buildings along the main roads have been replaced with new apartments, a shopping mall, new hotels and fancy restaurants. But even here, at the heart of international security, there have been suicide bombings, kidnappings and mortar attacks. 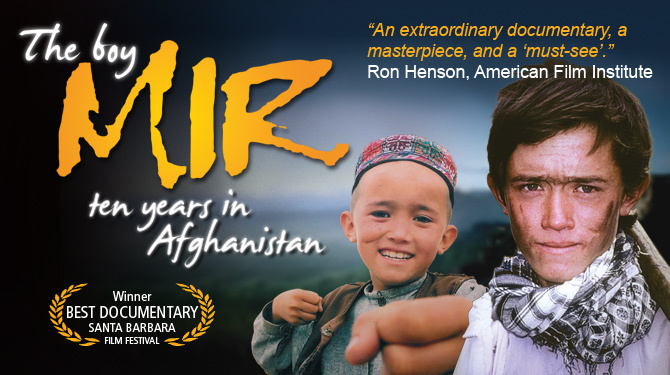 The film begins in 2002 – shortly after the fall of the Taliban – when Phil Grabsky first travelled to Afghanistan to film the 8-year-old Mir who, at that time, was living in a cave alongside the recently destroyed huge stone Buddhas of Bamiyan. Within a year, he and his family had been able to return to their home in a small very remote village in the deserts of the north. The family were happy to be home. Mir’s brother says, “In Bamiyan we were refugees; here we walk free”. Their one room is, however, still not much bigger than the cave in Bamiyan. And, that cramped space, the day-to-day life of the family members and their characters are revealed to us: Mir’s father Abdul – charming but caustic with it. Mir’s mother Fatima – angry with the world. Mir’s brother Khushdel – canny yet depressed. Mir’s sister Gulafrooz – hidden behind closed doors. Mir runs between them all – full of life, laughter and mischief. As the film progresses, Mir changes. Like any boy growing up, he becomes more aware of the world and thus a little less happy-go-lucky. He begins by working hard at the village school (recently constructed with aid money) and is intent on becoming a teacher. Outside of school, he learns to ride a horse and is expected to help with the work of the family which includes harvesting wheat in the mountains. He and his father talk endlessly about future plans; who he should marry, how well he should be doing at school and how much time he should spend working. As the only son of an ailing father, it becomes clear that there is increasing call for the young boy to help support what his very poor family. 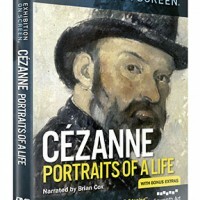 As the film progresses, Mir turns his attention, however, from horses and donkeys to bikes, motorbikes and having fun. His ambition to one day be a teacher or indeed President of Afghanistan changes; now he simply hopes not be killed in internal battles and fighting. 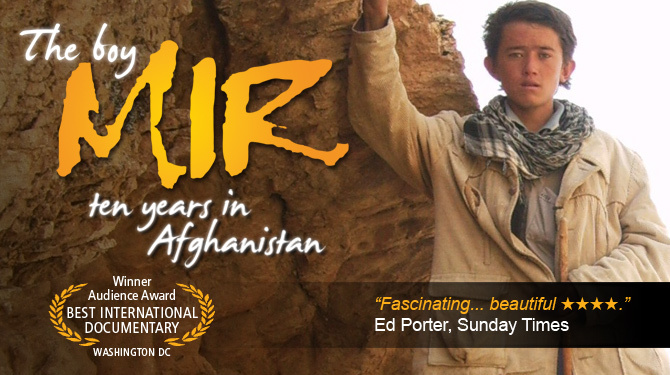 This is a film that reveals, in a deeply moving and intimate fashion, what has been happening in Afghanistan over the past decade since the November 2001 fall of the Taliban. What difference has America’s and other allies’ input had on this country? Is there still a chance that Mir will end up as a soldier or opium farmer and, if so, can this cycle ever really be changed? The US alone spends $60bn a year keeping soldiers there – but to what effect? Are they losing the hearts & minds battle or are they protecting the young boys – and girls – who attend Mir’s bare and tiny school? THE BOY MIR reveals this day-to-day life of Mir and his family from a very close-up perspective. The narrative is driven by Mir’s journey into his early teens, when he will be expected to put his childish ways behind him and begin the difficult process of becoming a man. This is hard enough for any child, but Mir has to face this challenge in modern Afghanistan. In sum, this is a unique portrayal of life, full of humour, full of poignancy, in today’s Afghanistan. Phil Grabsky is an award-winning documentary film-maker. 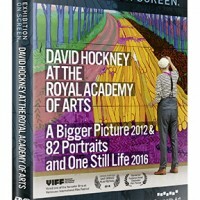 With a film career spanning 25 years, Phil and his companies Seventh Art Productions and PhilGrabskyFilms.com make films for cinema, television and DVD. Phil’s cinema films include Muhammad Ali – Through the Eyes of the World, The Boy who Plays on the Buddhas of Bamiyan, In Search of Mozart, Escape from Luanda, In Search of Beethoven and, most recently, The Boy Mir – Ten Years in Afghanistan. Phil has also just completed In Search of Haydn and, a world-first, Leonardo Live (transmitted to cinemas around the globe). These films have played in festivals worldwide, winning numerous awards for Best Film, Best Documentary, Best Cinematography, Best Screenwriting, Best Editing, Best Music. An award winning journalist with extensive experience in the field of conflict and ’post conflict ’reporting in Afghanistan. More than ten years of journalistic experience with national and international media outlets, including editor of the state-run daily The Kabul Times, producer and presenter for Radio Television Afghanistan RTA, bureau chief of the UN news agency (IRIN News) in Afghanistan , presenter for BBC World Service radio [Afghan Stream] in London, freelance producer director for many documentaries by BBC World News and other BBC outlets as well as UK based Channel Four, ABC America and ABC Australia. Phil Reynolds is a multi-skilled, freelance editor with over 20 years’ experience. He has worked on programmes for both national and international broadcasters, including BBC, ITV, C4 and Discovery. He has also worked on a wide variety of programme genres such as documentary, current affairs, drama, music and arts and light entertainment. Phil’s work for Seventh Art includes ‘In Search of Haydn’, ‘The Boy Mir – Ten Years in Afghanistan’ which won an award for Best Editing at the Maverick Movie Awards in 2011, ‘In Search of Beethoven’ and ‘In Search of Mozart’. Please sponsor director Phil Grabsky in his pursuit to provide a female teacher to a northern Afghan school in need. After last years Brighton 10k run, half-marathon and his first ever marathon he’s doing it all again in 2014. All of this is in aid of the Afghan village in which he filmed the lovable boy Mir for his films The Boy who Plays on the Buddhas of Bamiyan and The Boy Mir – Ten Years in Afghanistan. With the help of UK-based charity Afghan Appeal Fund, Phil wants to raise $10,000 to provide training and an annual salary for a woman from the village to become the sole female teacher of the one small local school. At present, girls can only be taught until the age of 8 or 9 and though their parents want them educated, they are unable to continue in the hands of male teachers. In the past we have brought the school a water reservoir, chairs and tables, roof repairs and even a school football kit – now it’s time to provide a new teacher. The young girls in the photo (playing with their first ever ball – can you imagine?) deserve better. 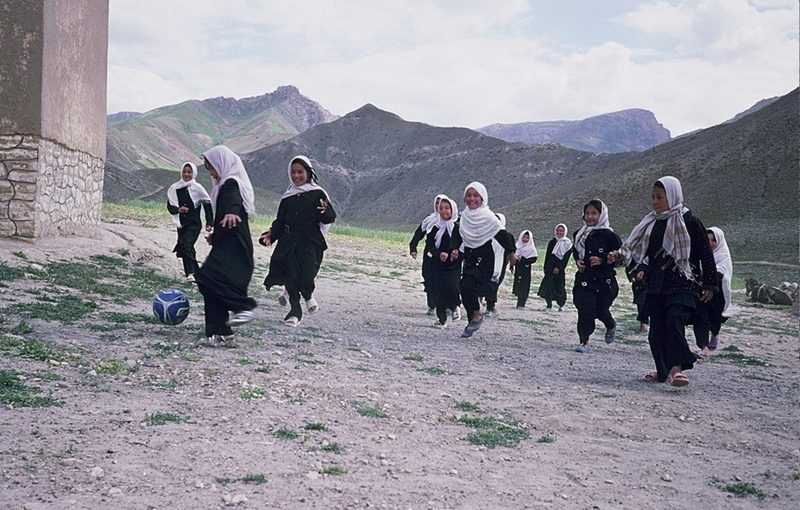 Some of these young girls walk 2 hours to school and 2 hours home every day – they are desperate to learn. Just a few pounds from you can make this dream come true.